Meet Busy Board by Buckle Toy®. 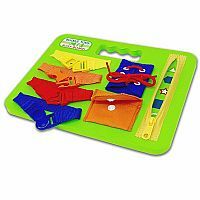 This soft foam board is designed to teach basic life skills. Learning to buckle is a ‘snap’ with a variety of easy to ‘click’ buckles. And no buckle is alike. The blue ones ‘snap’ with a circle, the red ones ‘click’ with a square. All in the name of fun kids learn color recognition while strengthening hand-eye coordination and fine motor skills. A colorful shoelace encourages problem solving as it teaches them to lace and tie. An easy-glide zipper keeps things interesting with hidden shapes inside. It serves a multi-purpose for all ages, including stroke victims and those with autism. Busy Board is also convenient for small hands to hold. No need to worry about packing this toy for your next trip. It is light and flexible, weighing less than a pound. Each Buckle Toy is professionally safety tested. We want the best for our children and expect no less for the valued customers that have helped make our Buckle Toy family grow. 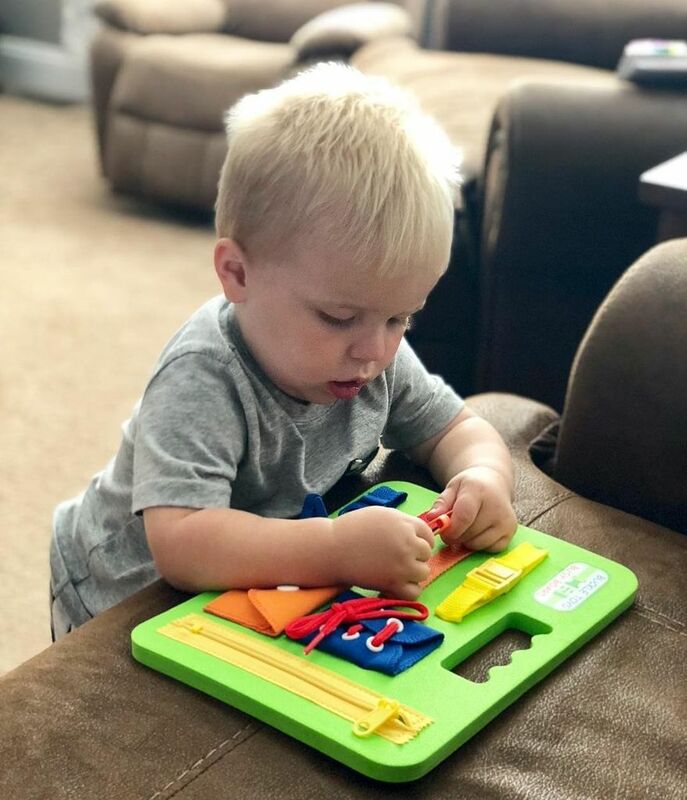 Keep your little ones occupied … give Busy Board a try!